Jul. 1, 2017 9:00 a.m.
Gov. Gen. David Johnston has presented Prince Charles with the insignia of companion of the Order of Canada, kicking off a jam-packed day of events to mark the 150th anniversary of Confederation. 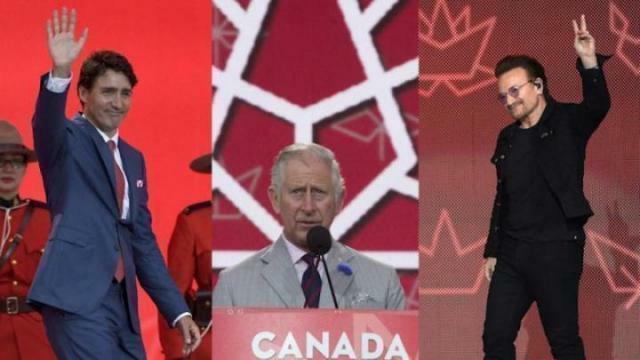 Charles, who is being recognized for his global philanthropy, was at Rideau Hall with his wife, Camilla, the Duchess of Cornwall, to kick off the final day of their royal visit, which culminates in Canada Day celebrations on Parliament Hill. Before the ceremony, Prime Minister Justin Trudeau had an audience with the prince in the large drawing room at Rideau Hall, chatting briefly with broad smiles for the benefit of a phalanx of cameras. Later in the day, the royal couple will visit the Canadian Museum of History across the Ottawa River in Gatineau, Que., before the moving on to a peacekeeping monument in Ottawa for a ceremonial guard inspection. The couple is also scheduled to visit the newly opened and renovated National Arts Centre for a ribbon-cutting with a number of guests. A visit to Shopify, an Ottawa-based e-commerce company, is also on the agenda, as well as attending the inauguration of the Queen’s entrance at Rideau Hall in the evening.